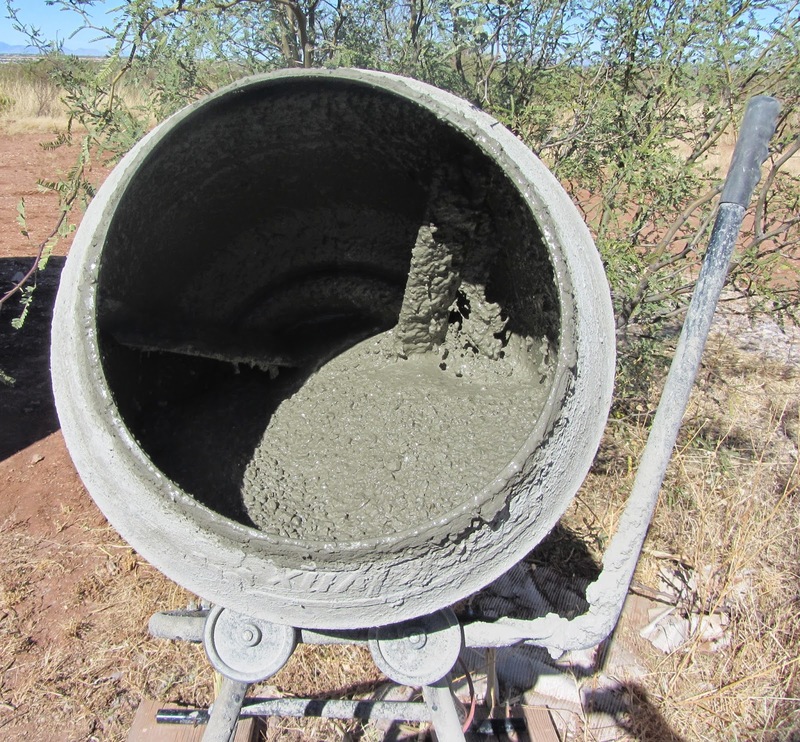 Teaching Leading Learning: Don't pack the concrete mixer! We don't need a concrete mixer in our resilience toolbox. A common analogy used when talking about resilience is that it is like having a toolbox. I like this analogy. The more tools we have the better prepared we are to cope with the pitfalls of life. Like a builder, we need to have our toolbox packed before we go to the job, we need to know how to use our tools before we go to the job and we need to ensure that they are in good working order before we go to the job, replacing what is broken as we go along. To be as resilient as possible in difficult times we need to practice the behaviours that support our sense of well-being in our good times. When considering the tools to carry we need to ensure we only pack those things that will support us in times of stress and, because of this, I strongly suggest we don't pack a concrete mixer... for one reason it's incredibly heavy to carry. For another reason, I see it as a tool that contributes to hardening up which seems to me to create more problems. I am not sure what it is like in other countries but in New Zealand it feels like there is a strong culture of 'hardening up'. When we 'harden up' we suppress our vulnerability, our emotions get pushed down every time they feel uncomfortable. Sometimes we are taught to 'harden up' when we are young, when we cry or become distressed. This is meant to help us become strong and resilient, but I think it does the opposite in the long run. It also teaches the young person that exhibiting their emotions and working through them makes other people uncomfortable too. What I think happens when we continually 'harden up' is that we learn how to not cope effectively with our uncomfortable emotions which can lead to developing negative coping strategies such as blaming others, drug or alcohol abuse, self harm, violence and unnecessary risk taking. We feel weak asking for help so don't, even though we may very well need it. "Hardening up" can also diminish the emotional range an individual feels. Instead of experiencing a full range of emotions, from what I have seen, the range can reduce to a spectrum of anger and happiness. When scared or worried or sad this is expressed as anger, otherwise these hardened up folk seem happy enough but genuine joy can become elusive. I also believe for some people this limits their ability to empathise with others and so affects their interpersonal relationships. It is a tough way to live because all those other emotions are sitting there underneath broiling away and sometimes it takes just a little pitfall for them to bubble over, like a volcano where the pressure has become too much. The fall out can be devastating for the individual and the people around them. In some cases I believe that this contributes to mental health issues, domestic violence, violent crime, suicide, addiction, divorce... you get the picture. 5. talk about feelings- when we are watching a movie or reading a book with our children, talk to them about the characters feelings and what they might do etc. Just where relevant of course, don't destroy the joy of the moment by over-analysing things though! These are just some small ideas about an issue that I think is really important. I know that some of them are easier to say than do and that there are days that with the best will in the world we just don't handle things the way we'd like... it's OK because we are human. If we make a mistake then we can apologise, that is what we would expect from our kids after all, and then we move forward from there. If we need help we can ask for it, for what it's worth I think that asking for help is a sign of strength not weakness.